WILMINGTON, Delaware (Reuters) -- Fiat's bid to win full control of more profitable Chrysler is set to become more expensive in a few weeks, as a court ruling on a price dispute drags on and Chrysler's possible share flotation looms. The Italian carmaker has 58.5 percent of Chrysler, and a right to buy 16.4 percent more over the next three years at a price determined by a formula worked out in 2009 when Chrysler was exiting bankruptcy. But a dispute over the price has ended up in a Delaware court, which will decide whether Fiat must pay up to $1.70 billion as demanded by the United Auto Worker union's VEBA, the union's retiree healthcare trust, for the stake. The ruling is unlikely to come by the end of the year as Fiat hopes. "That works in VEBA's favor," said Brian Quinn, a professor at Boston College Law School. "If Fiat wants to get this done by year-end, it will have to settle." The amount VEBA wants is double the $754 million Fiat has calculated the stake is worth, based on the formula. Right now Fiat and VEBA are circling each other like two wrestlers before a fight. Fiat wants VEBA's stake, and VEBA wants Fiat's cash. There is only one buyer -- Fiat. That changes from Jan. 1, when VEBA gains the right to sell part of its Chrysler stake in an initial public stock offering. That gives it important leverage in any future negotiations with Fiat and could make the price Fiat pays more expensive. Fiat-Chrysler CEO Sergio Marchionne said in October the legal spat could be resolved by year-end. But law experts say the lawsuit could drag on for months. "It's really hard to see how this (case) could get prepared, tried and decided in less than two months," said Larry Hamermesh, a professor at Widener University School of Law in Wilmington. "Barring some showing of need for expedition, or a settlement, I'd say upwards of a year from now would be optimistic." Fiat was able to scoop up management control of Chrysler from 2009 at deeply discounted prices, when the U.S. Treasury agreed to let it have 35 percent for free because it was the only automaker in the world that thought the bankrupt Chrysler was fixable. But the landscape has now changed. Marchionne is determined to gain full control of Chrysler by buying the remaining 41.5 percent owned by VEBA, as this would allow Fiat to restructure debt, boost earnings and support its struggling European operations until the economy recovers. VEBA, which covers healthcare costs for retired workers at Chrysler like similar trusts at General Motors and Ford Motor Co., took a stake in Chrysler during its restructuring. It needs to safeguard the rights of Chrysler's retired workforce. Marchionne has gained a name for dealmaking after he pried a $2 billion divorce settlement from General Motors in 2005 and convinced U.S. President Barack Obama's task force to give him control of Chrysler. Now he faces a new challenge: to negotiate a price for the rest of Chrysler with the union trust that won't antagonize its workers, while not endangering loss-making Fiat's finances. Fiat had an option to buy the first of several 3.3 percent Chrysler stakes from VEBA from July 1, and offered $139.7 million. The 2009 agreement lets Fiat buy 16.4 percent more of Chrysler, bringing its stake to 75 percent by buying up 3.3 percent every six months. Brock Fiduciary Services, which oversees the Chrysler investment for VEBA and is legally bound to get a market price for the stake, demanded $342 million. The difference is substantial. Fiat's claim values all of Chrysler at $4.6 billion, a far cry from VEBA's estimate of $10.4 billion and half of what Fiat itself valued the company at in July 2011. UBS estimates the fair value of Chrysler at between $9 billion and $13.4 billion, meaning VEBA's 41.5 percent stake is worth between $4.1 billion and $5.5 billion. 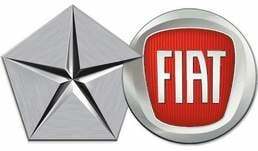 Marchionne has said Fiat intends to exercise its right, known as the "VEBA call option." At the end of the three-year process, VEBA is left with 25 percent it can sell in an IPO, which would force Fiat to buy shares on the open market. Fiat also has the right to buy VEBA's stake outright, for about $5.5 billion. Some observers believe Fiat's interpretation of the 2009 pricing formula was a deliberate lowball designed to bring the price down in negotiations with VEBA for the next round of stake purchases. "Fiat has known for quite some time that it could end up with VEBA in court," a person familiar with the Fiat side said.